You are here > Home>Latest News>Meet the Magnificent Seven! 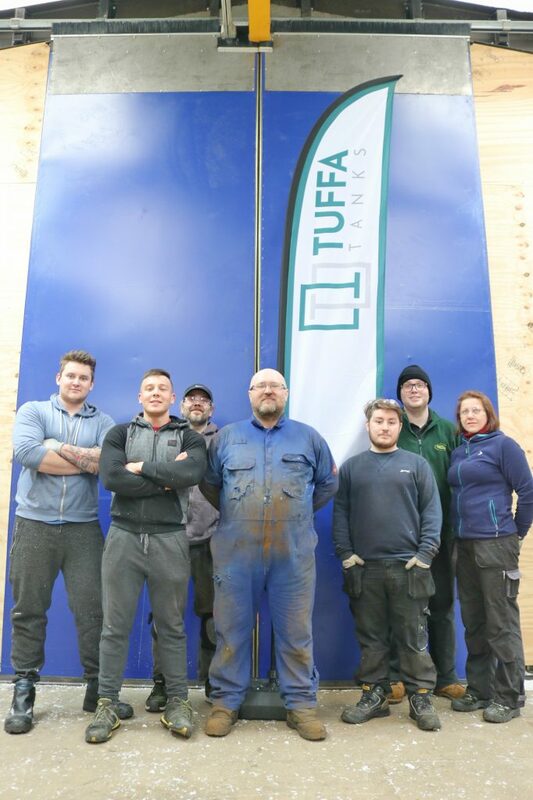 Tuffa UK would like to welcome seven new additions to our production team at our Uttoxeter factory. As a result of our continued growth and expansion, we have been busy increasing our output and productivity in the factory. We have two new starters in our plastic tank plant, one in our steel workshop and four joining our welded plastic team in the new mezzanine workshop. Over the last few months, Tuffa has been awarded the BS EN ISO9001:2015 quality standard as well as being listed for a prestigious Business Innovation award. Tuffa UK’s innovative product design and development has led to a significant increase in demand and orders, with sales for the first 6 months of the current financial year up 25% on last year’s figures. Welcome to the Tuffa Team! Pictured left to right are: Big M, Jakub, Pavel, Rad, Aiden, Harry and Wieslawa. Welcome to the Tuffa team everyone and good luck in your career with Tuffa UK. Factory Manager, Jason Shenton is pleased to have added to the Tuffa production team. “We’re very busy at the moment and we’re committed to investing in our business to make sure we deliver our customers tanks on time, every time,” he said. “We’re recruiting new staff and adding more shifts, including night shifts, to keep up with increased demand,” he added.